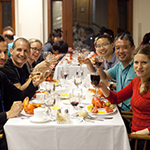 You are cordially invited to participate in the tenth meeting on Axon Guidance, Synapse Formation and Regeneration to be held at Cold Spring Harbor Laboratory. The meeting will begin with dinner and the first session on the evening of Tuesday September 20 and will conclude after lunch on Saturday, September 24, 2016. 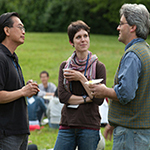 The specific goals of this conference are to bring together a diverse group of scientists studying various molecular, cellular and genetic aspects of cell migration, axon guidance, synaptogenesis, and developmental plasticity of neural connectivity. This meeting is intended to provide a format for the exchange of ideas and information, to discuss the latest research findings and technical advances, and to facilitate the intellectual unification of research in this field. 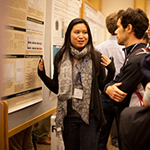 The format of the meeting will include seven oral sessions consisting of short talks and three poster sessions, primarily chosen from openly submitted abstracts. All speakers and chairs are strongly encouraged to stay for the entire meeting. The organizers will decide the suitability of each abstract for oral or poster presentation, but please specify if you prefer a poster. Status of abstracts will be posted on our web site as soon as decisions have been made by the organizers. 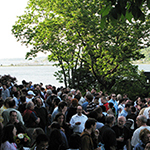 We look forward to seeing you at Cold Spring Harbor in September.